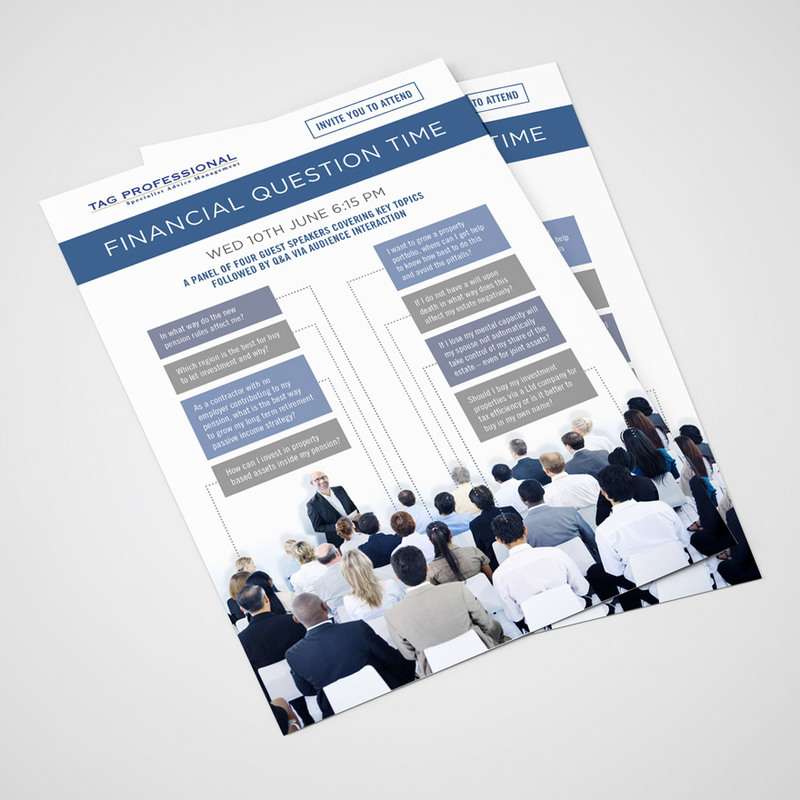 Terry Field of Tag Professional required a flyer for a Financial Question Time Event that he was hosting. The event comprised of 4 experts in different areas of finance. Following the talks by the individual experts offered a chance for the audience to ask specific questions regarding pension, property or general financial concerns. 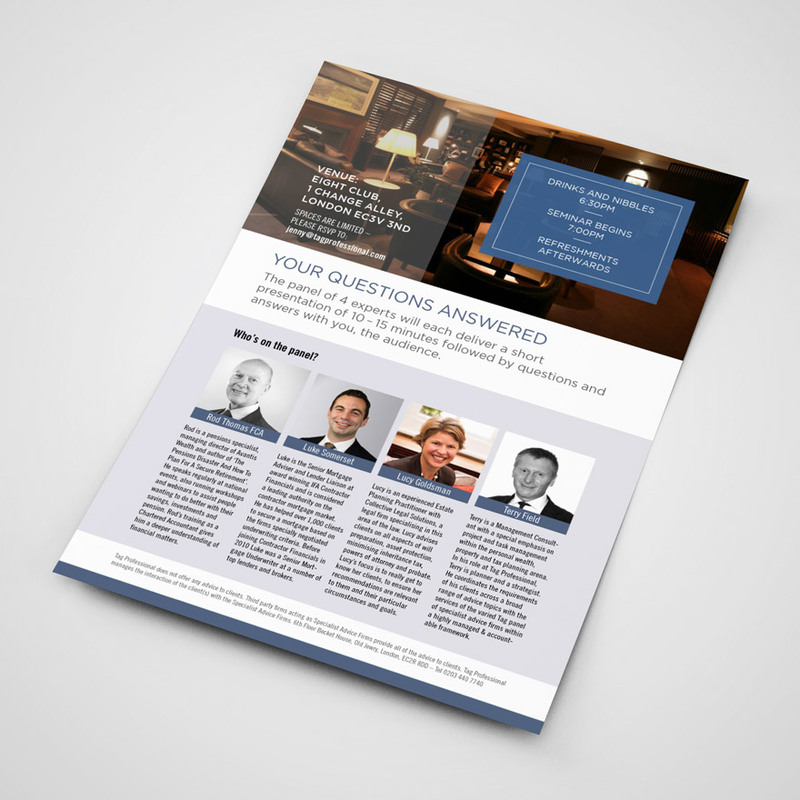 The flyer reflects the Q&A nature of the event by utilising bold coloured rectangles to highlight typical questions that the audience may ask.